Worth the Wait. 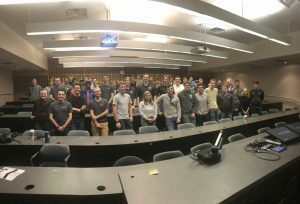 SpaceX's Falcon 9 Rocket carried Georgia Tech's R.A.N.G.E. cubesat into space on Monday, December 3. 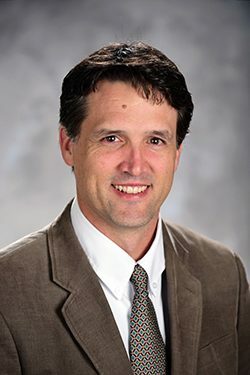 The project's main architect, Prof. Brian Gunter flew to California to witness the launch, which had been postponed and re-scheduled seven times over the last two weeks. Watch a webcast of the actual launch at www.spacex.com/webcast. successfully launched from Vandenberg Air Force Base in California. 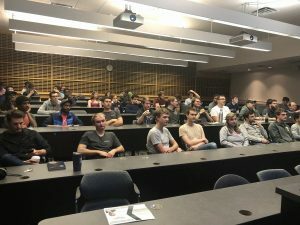 Thousands of miles away in room 442 of the Guggenheim building at Georgia Tech, AE professor Glenn Lightsey joined dozens of aerospace students to watch a livestream of the take-off, which marks the first time a Georgia Tech-built satellite has made it into space (though several are in the pipeline). 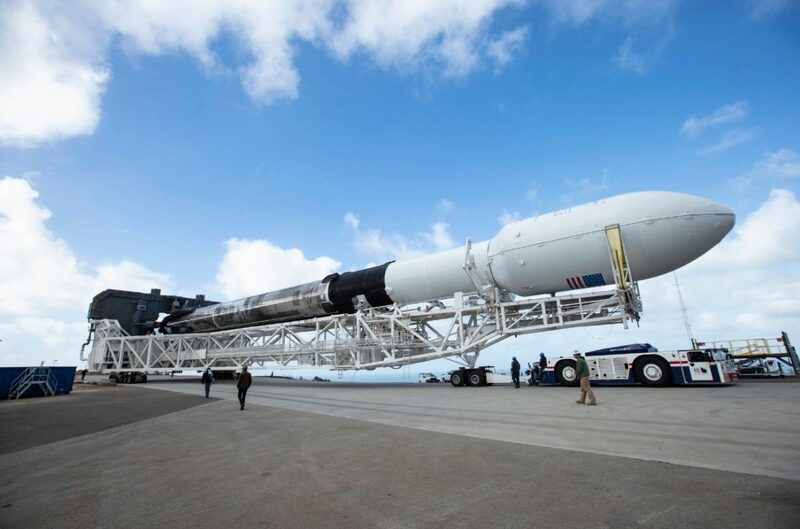 "Watching a launch never gets old," said Lightsey, the associate director of the Center for Space Technology and Research (CSTAR). 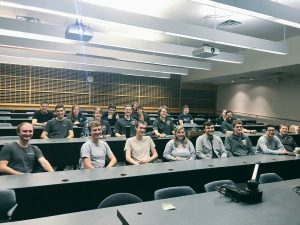 "I can't help but congratulate [Professor] Brian Gunter and his team of students who've been working diligently on this project in the basement of the ESM building for the last two years...they have a lot to be excited about. Especially the students: here they are, at the beginning of their careers - before they've even gotten their first jobs -- and they have already worked on something that's gone into space. It's an exclusive club. There are fewer people in this club than there are people with Ph.Ds." "It has the ability to enable whole new classes of mission concepts," said Gunter, who had traveled to California to witness the launch live. The Ranging and Nanosatellite Guidance Experiment (RANGE) consists of two 1.5-unit sized cubesats that, together, are about the size of a loaf of bread. 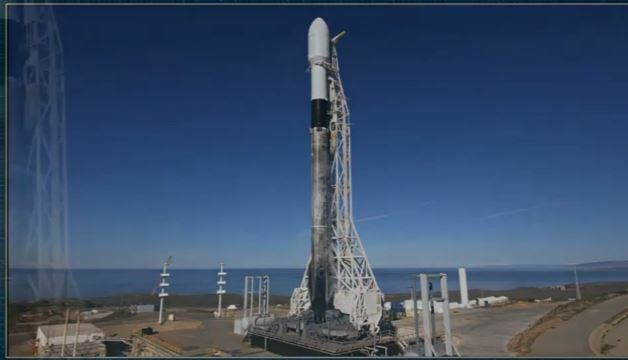 In about two days, those two units -- by then, deployed from their Falcon 9 transport - will separate from one another so that they can establish a leader-follower formation as they orbit the earth. At that point, the two satellites will begin communicating with each other -- and with a ground support team here at Georgia Tech. to set up a system that will collect data from the satellites autonomously. Ideally, they'll be able to come in each morning and look at a read-out that will tell them what the satellite down-linked overnight." 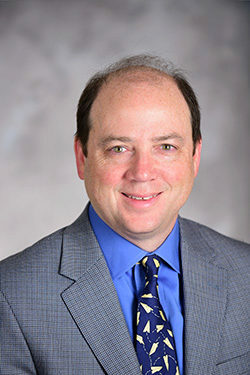 Ultimately, the mission seeks to collect data that will dramatically improve the capacity for controlling small-satellite constellations or formations. Watching the launch from Gugg-442, fourth-year AE student Dawn Andrews felt a special connection to the entire enterprise. Not only did she work on the R.A.N.G.E satellite during her sophomore year, she completed four rotations as a SpaceX intern -in mission management and in vehicle engineering design. As the final checks were being broadcast live from Vandenberg Air Force Base on Monday, Andrews was in rapt attention. An hour later, the anticipation that gripped her was still evident. "They announce everything, and you listen to it all. All of it. Because you are waiting for that moment when they'll deliver the payload into orbit. That's the goal. That's the main mission. It's why you worked on it. They check the health of all the systems - the pressure, the temperature, the electronics to see if they're all talking to one another. There's a point during the launch process that, just like a plane taxy-ing down a runway, it has to take off. That's an exciting point. For the Falcon 9, the one minute mark is when the computer takes over with a lot of the checks, but when it's 10 seconds out, it's completely out of human hands. The computer decides if it's going to launch at any point under 10 seconds." listening to everything. Then, when it launched, there were waves of relief you could feel in the room. People clapped, eventhough there was really no audience for it, because they were so keyed up. I suspect a lot of them were spent because all the work they'd done was now in space. That thing that was just an idea, a project, a theory, became an actual mission. And we won't hear anything from it [RANGE] for two days because it will take that long for them to separate from each other and from the other satellites that are being deployed." Where current technology allows researchers to predict asset positioning down to a few meters, RANGE will use an on-board GPS receiver to establish centimeter-level absolute orbit positioning. The results will be verified with ground-based laser ranging data from the Naval Research Laboratory (NRL). The relative position of the satellites will be measured by a new LiDAR ranging system paired with the first flight of a miniaturized atomic clock that should provide centimeter to millimeter-level range observations out to a 500 kilometer separation distance. 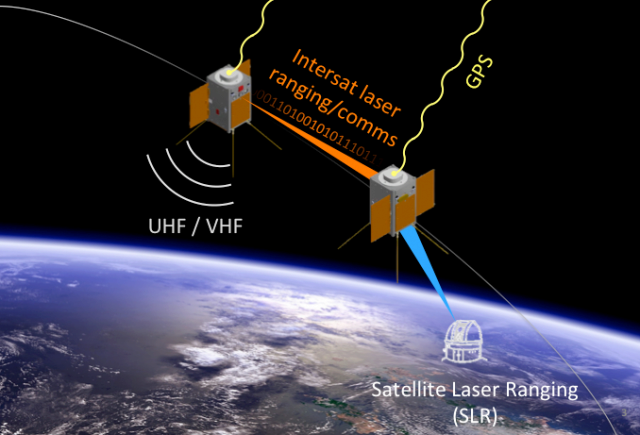 The LiDAR ranging system will also double as a low-rate optical communication system, and the mission intends to be one of the first to demonstrate cross-link laser communication between cubesats. "The satellites will have no on-board propulsion, so they will use differential-drag techniques to maintain the formation, for which very little experimental data exists in the literature," says Gunter. "Additional experiments will be explored involving relative navigation and autonomous maneuvering." 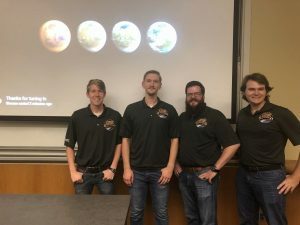 Gunter and Lightsey agree that much of the mission's value came on the back end, where dozens of students spent countless hours planning, designing, prototyping and testing the tiny satellite. There are literally hundreds of specific design, performance, and safety requirements that the young researchers had to meet during several stages of planning. Each failure produced new knowledge that they will not soon forget. No Bigger Than a Loaf of Bread. 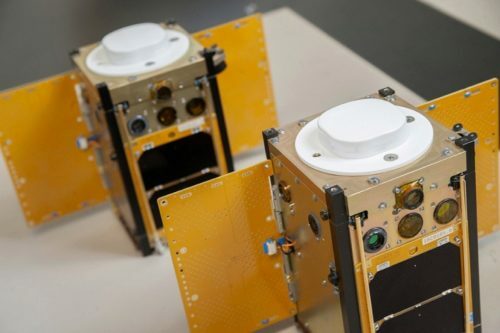 These two tiny satellites -- the R.A.N.G.E cubesat constellation - will get to work later this week. 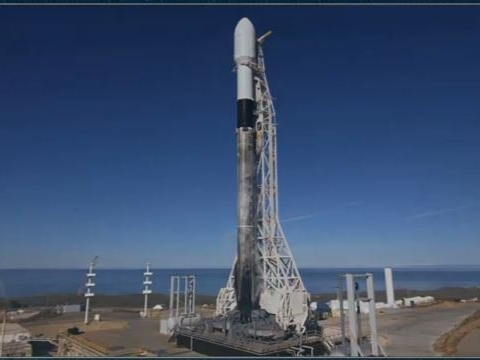 "The launch provider is not concerned with whether your cubesat fails when it's up there, they just want to make sure any failure doesn’t damage another mission, so the design regulations are exhaustive. Even if it's well-built in the lab, there are lots of conditions - violent vibrations from the lift-off or intense temperature variations for instance - that can change the way everything works," Gunter said. "We ran a number of tests on shaker tables to mimic the vibrations of launch, and with the thermal vacuum chamber to mimic the lack of atmosphere in space. But what you find is, one small oversight  - a bad solder joint or a small electrical component fails -- and the whole spacecraft can stop working. This happened to us on several occasions, and is why the testing and development process is so involved. Once the satellite is in space, we can’t touch it anymore, so we have to make sure it is as reliable as we can make it before launch."